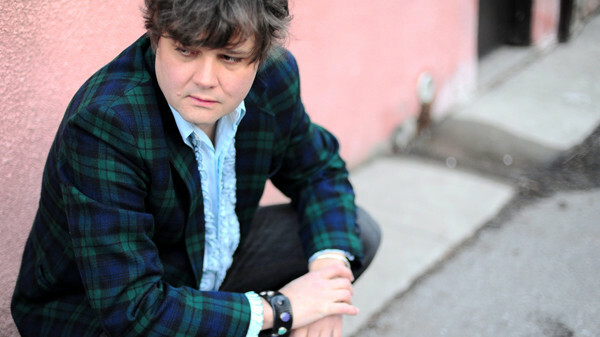 “I don’t have any hits per se but there are certain songs that I’m expected to play.” Ron Sexsmith’s mid-set introduction to his 1997 song ‘Strawberry Blonde’ serves as a fairly accurate summation of the Canadian singer-songwriter’s unassuming career. While forever in the commercial wilderness during his thirty years of making music, Sexsmith has garnered much respect in industry circles and, something of a songwriter’s songwriter, Paul McCartney, Elvis Costello and Elton John are among his notable admirers. He evidently has some less notable but no less enthusiastic admirers in Bristol; on the first date of a UK and European tour in support of his 16th album The Last Rider, Sexsmith plundered deep into his considerable back catalogue to the delight of the St George’s audience. With a substantial catalogue of songs to draw from, Sexsmith plays a generous spread of tracks from throughout his career. ‘Secret Heart’, perhaps his most well-known tune, is met with the first instance of audible recognition from the crowd; it provides a riveting moment when the band re-joins on stage to transform the song from a gentle solo spot to a heart-swelling full band arrangement. All four members of Sexsmith’s band also provide harmonies and backing vocals; the ‘La La La’ multi-vocals of ‘St Bernard’ work particularly well. Playing a lengthy set of twenty-four tracks, there are some brief moments when – certainly for those not cognizant of the entire breadth of Sexsmith’s work – the grace and ostensible similarity of the music perhaps becomes a little cloying. Sexsmith’s tunes, though easily likeable, occasionally feel inessential and, as some listeners may attest when consuming the entirety of his albums, it’s the select gems from his catalogue that make him worth revisiting. That’s not to say that the evening hasn’t produced a number of highlights; for instance, ‘Gold In Them Hills’, originally recorded with Chris Martin, contains a beautiful and instantly memorable piano riff and the skipping ‘Get in Line’ is an irresistible toe-tapper. For his part, Sexsmith – sporting his trademark scruffy mop of black hair along with a quirky suit that has half a clock stitched in to its jacket – comes across as a very likeable host; cordial with an understated confidence, he gives the audience a tongue-in-cheek impromptu blast of Michael Jackson’s ‘Ben’ when discussing his collaboration with that song’s lyricist Don Black, cracks wise about Stratford, Ontario and muses on the uncanny fact that he’s never seen Paul McCartney take a sip of water while performing. A three song encore sees Sexsmith at the piano for ‘Brandy Alexander’ which evolves into call-and-response gospel rock and, informing us of a family who were unable to attend the evening’s show due to an unexpected death, he touchingly closes with ‘Deepens with Time’ in tribute. The night ends with a rapturous standing ovation from the audience. Who needs hits? Tagged bristol, gig, review, RON Sexsmith, scott hammond, st georges. Bookmark the permalink.